Banffshire and Buchan Cost MSP Stewart Stevenson has backed a service which provides a weekly drop in service for homeless people and those suffering from substance misuse. The MSP visited Peterhead’s Salvation Army Shield Project drop in earlier this week and met with staff, volunteers and those using the service. The service runs on a Tuesday and Wednesday each week, supporting around 80 people through outreach work in Aberdeenshire. “Services like the one provided by the Salvation Army are invaluable to people who may be facing difficulties in their lives. “It is so important people have a place where they can have food and company, particularly if they’re feeling isolated. Major building work is set to start in October on a new supermarket in the North East, according to correspondence from the firm to MSP Stewart Stevenson. The start date comes after residents in Peterhead expressed concern over the creation of the new Aldi in the town. Following outcry from the local community, the Banffshire and Buchan Coast MSP wrote to regional managing director Richard Holloway. “Investigatory works have already begun and materials for creating the boundary around the site are also in place. The budget supermarket had been due to build the new store in Peterhead beginning in December last year. The scheme to bring Aldi to Peterhead has been ongoing since 2004, before finally getting the greenlight from Aberdeenshire Council in February 2016. The supermarket is expected to create up to 30 jobs and bring a cash injection of £2.5million to the local economy. “The creation of this supermarket has been long overdue and I am delighted work will finally start in the coming month or so. “The North East has been badly hit by the oil and gas downturn and this will be a much needed boost for the local economy and for the jobs market also. Banffshire and Buchan Coast MSP Stewart Stevenson has welcomed new guidance on farming and the environment. Rural Economy Secretary Fergus Ewing has issued new ‘greening’ guidance for the Common Agricultural Policy (CAP) next year. The new guidance has been endorsed by Professor Russel Griggs’s expert group and includes changes introduced by the European Commission’s simplification agenda. 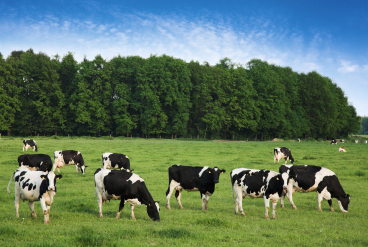 It provides further flexibility for farmers and crofters to mitigate the impact of farming on the environment. Under CAP, it is currently mandatory for applicants to the Basic Payment Scheme to comply with ‘greening’ requirements, where relevant on their land, in return of receiving additional payment. “One of the regular pleas when I meet farmers is for simpler regulation. This set of changes is a significant and very welcome response to meet farmers' needs. "I know that the Scottish Government's engagement with farmers will continue to deliver for our industry. "Today's announcement illustrates why it remains vital that none of the powers that enable decisions to be made in Scotland which respond to Scottish needs are removed to London as a result of our leaving the EU." The Barclay Report has recommended the creation of a Business Growth Accelerator following its review published today. It would mean a 12-month delay before rates apply for a new build property and a delay in increasing rates for expansion or improvements to an existing property. “The far-reaching recommendations of the Barclay report include a number of considerations for the Scottish Government. “The SNP has long been passionate about supporting enterprise and this could encourage new start-up businesses as well as helping already established firms to improve their office space. Banffshire and Buchan Coast MSP Stewart Stevenson has called for a multi-parliament “grand committee” to process legislation in the Brexit negotiation process. The SNP representative has suggested it’s time for Parliaments to seek a shared position on a post EU-framework. It would mean the devolved parliaments in Scotland, Northern Ireland and Wales would be able to put forward their views in a cross-party committee which would allow them to contribute to legislation with Westminster. “Mrs May and her Westminster Government will be responsible for putting legislation on the table which will fundamentally change the future of the UK. “As in Holyrood, hard graft of detailed examination and amendment will take place in a parliamentary committee. “The UK Government is going to have to take account for and explain their policy decisions with the backing of all the political parties. “How can Westminster ask for the full support of the devolved nations for a complex act which other Parliaments have played no part in? A North-East MSP has written to two leading supermarket chains after a shelf watch study undertaken by members of the National Farming Union (NFU) revealed 11% of lamb on sale is imported. A report by the NFU found almost all of the imported meat was found on Asda and Tesco shelves. The percentage is in stark contrast to a previous study conducted the same time last year which found only 3% of fresh lamb on Scottish supermarket shelves was imported at the time. It was also revealed in the same study last year that 97% of lamb was clearly labelled as Scottish or British lamb. Now, Banffshire and Buchan Coast MSP Stewart Stevenson has written to Tesco and Asda calling for them to support Scottish farmers. promotional campaign which lasts for one month and promotes the quality and provenance of this excellent product. “It was therefore disappointing to receive the results of the NFUS survey, particularly when most of the other retailers involved seemed to be able to stock a much higher ratio of Scotch Lamb to other lamb, with Lidl and Aldi achieving 100% in this regard. The study carried out by NFU Scotland surveyed 46 supermarket stores across Scotland, looking at fresh lamb offerings. The results showed an 89% commitment to lamb produced in Scotland and the UK up from 44% in April this year. But it was down from 97% in August 2016. In Asda a total of 656 packs counted revealed only 21 were Scottish, 417 British while there were 200 from New Zealand and 18 from Australia. The stores visited were in Perth, Huntly, Aberdeen, Peterhead, Dyce, Linwood, Fraserburgh and Edinburgh. Meanwhile in Tesco of 551 packets, a total of 245 were Scottish, 190 were British, and 116 were from New Zealand. The stores visited were Perth, Turriff, Fraserburgh, Ellon, Huntly, Inverurie and Linwood. “Most of the casework I receive from constituents these days comes in via e-mail, post or by phone, but I think it’s still very important to be available for face-to-face discussions in people’s own communities and the Surgery Tour serves that purpose very well. “Over the years, many thousands of people have been in touch through one of my surgeries. It’s not always possible to achieve the outcome that people are seeking with a particular issue or problem, but on many occasions, simply the act of writing a letter on Parliamentary-headed paper on someone’s behalf is enough to make the powers that be or private companies sit up and pay attention to someone’s problem. Being able to help people in this way is both a pleasure and a privilege and I’m pleased to be able to do so. Banffshire and Buchan Coast MSP Stewart Stevenson has praised a community group after they raised more than £9,000 to fund four new defibrillators in a North East town. The Fraserburgh Community Safety Group raised the cash through projects in and around the port to make the project happen. They also received some funding from the local authority. Now, the first of the life-saving machines have been installed at the town’s harbour. 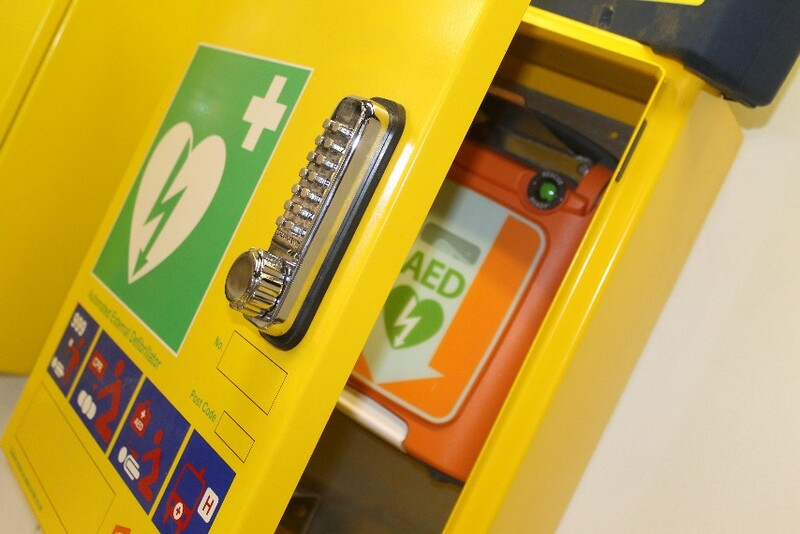 The defibrillator will be available for use to anyone who may need it at the dock. “I am delighted the hard work of the Fraserburgh Community Group has paid off. “The idea for this scheme was first conceived in 2014 and it has been the determination of the members which has led to this important moment. Banffshire and Buchan Coast MSP Stewart Stevenson has welcomed a major offshore wind contract for Peterhead. Vattenfall has revealed turbine foundations and one of the world’s largest floating cranes will be marshalled at the town’s port. The contract win means Peterhead Port Authority will support the start of offshore construction work for the European Offshore Wind Deployment Centre (EOWDC). The suction bucket jacket foundations for the 11-turbine scheme will be harboured at the port. “This is a huge contract win for Peterhead Port Authority and I am delighted to see it benefit from yet another leading renewable project which will be situated off the North East coastline. “The region is leading the way in the use of game-changing technology and this will help to put Peterhead on the map even further. The contract will also see the port moor one of the world’s largest floating cranes, with a maximum lifting capacity of 5,000 tonnes, and up to six barges that will transport the 11 foundations. The heaviest of which weighs around 1,800 tonnes and is about 77 metres high. Peterhead Port will support the installation operations for at least four months with the offshore work expected to take around four to six weeks. Performance across Scotland’s accident and emergency departments was above the 95% target during the final week of July – with 95.3% of patients seen, admitted or discharged within four hours. Latest figures show that 95% of patients in NHS Grampian’s emergency departments were seen, admitted or discharged within four hours. Scottish hospitals have now had the best performing emergency departments in the UK for more than two years, according to the most recently available figures. “It is very encouraging that latest figures show that performance in A&Es across Scotland hit the 95% target again – the third week in a row. “Scotland’s A&Es have now outperformed those in the rest of the UK for 27 consecutive months – and this success is testament to the hard work of our NHS and social care workers. “It is extremely encouraging that Emergency Departments in NHS Grampian are meeting the four hour waiting times target, with the latest figures published showing that 95% of patients are being seen within four hours. A North East politician has welcomed the latest round of European funding which will help boost 30 projects across the region. Banffshire and Buchan Coast MSP Stewart Stevenson said funding from the European and Maritime Fisheries Fund (EMFF) would play a “key role” in helping businesses to upgrade or modernise their equipment. It comes after it was revealed sea fisheries, aquaculture and processing businesses will all receive a share of more than £2million worth of funding. MJ French Fish Export Ltd in Fraserburgh will receive a £362,000 grant to upgrade its processing facility, while a number of smaller grants will be used for fishermen to upgrade their safety equipment. “Funding from the EMFF plays a key role in helping to support our rural economy in communities across the North East and Scotland as a whole. “I am delighted local businesses will once again benefit from funding and the support will help firms as they look to broaden the scope of the work they do. “The EMFF funding has been crucial in helping our new business grow. 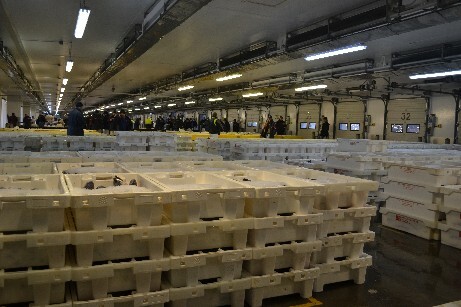 The SNP has urged the UK Government to clarify its position on fisheries, after it emerged that Michael Gove told Danish fishermen that they will have continued access to UK and Scottish waters even after the UK leaves the EU. It has been reported that Michael Gove told the Danish fishermen that they “will still be able to catch large amounts of fish in British waters, even if the British leave the EU.” Yet, just a few weeks ago, Gove was in North East Scotland promising a “sea of opportunity” for Scottish fishermen. This apparent u-turn is just the latest in a series of recent Tory muddles on Brexit related issues. And now with it looking increasingly likely that they will continue a near half century of selling out Scottish fishing, Mr Gove has been urged to clarify what Brexit will actually mean. “These are startling revelations on the Tories’ true position over fisheries post-Brexit. And show what we long suspected – that you cannot trust the Tories to stand up for rural Scotland’s interests. “They might well be trying to keep voters and fishermen sweet at home with all sorts of promises – yet Michael Gove is jet-setting around Europe reassuring EU members that there’ll be nothing of the sort. “The reports, if true, show the Tories are not being straight with people and will do and say anything in order to force through their disastrous, ill-conceived Brexit plans. “Michael Gove must immediately make absolutely clear what the UK government’s real position on the future of fisheries is. He could start by confirming that devolved powers over fisheries will transfer to Scotland so that we can get on with developing our own management policies which put Scottish fishing interests offshore and onshore, first.